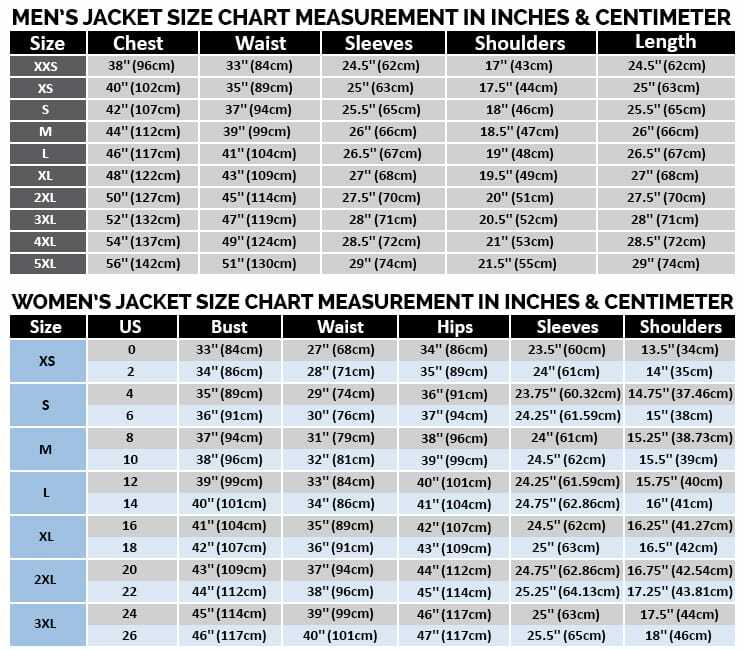 Do you have the big body like Hulk? 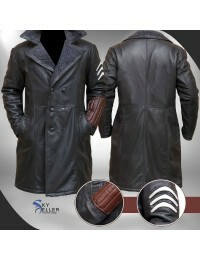 If you want to look the mighty and ferocious, we have something very special for you. 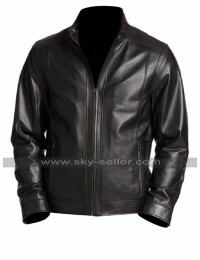 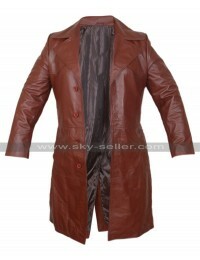 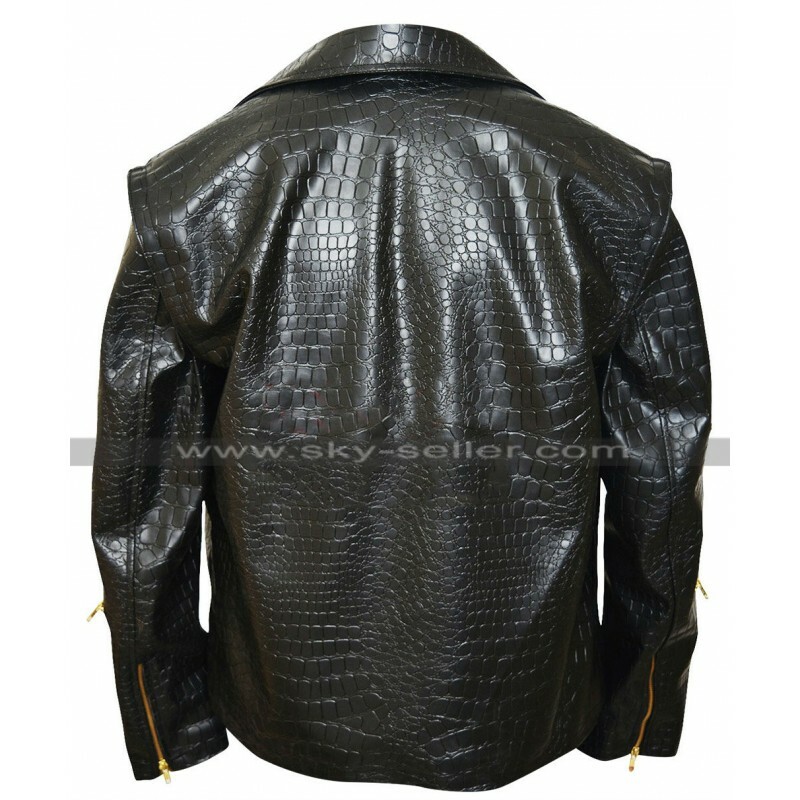 We are offering dragon jacket of Waylon Jones at extremely affordable price. 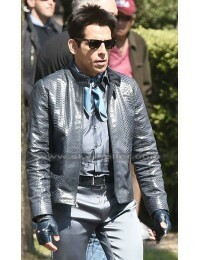 You simply cannot miss it out by neglecting this aggressive outfit. 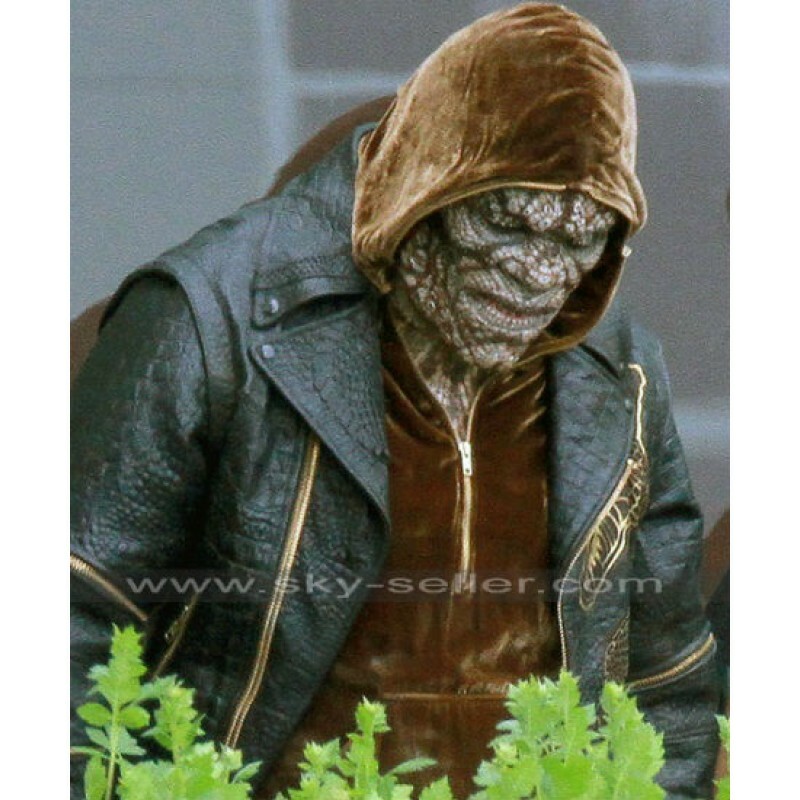 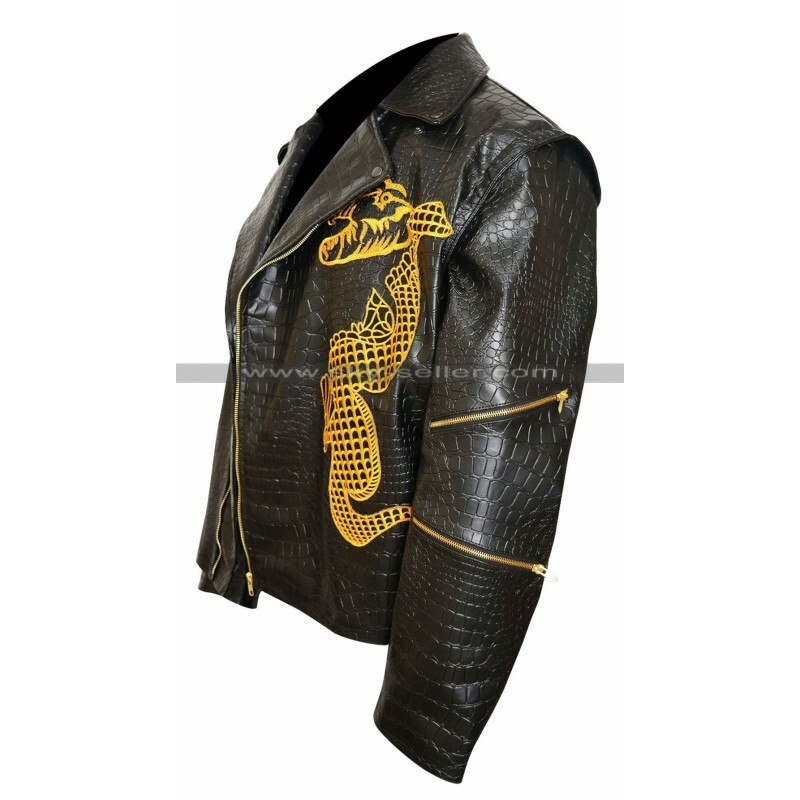 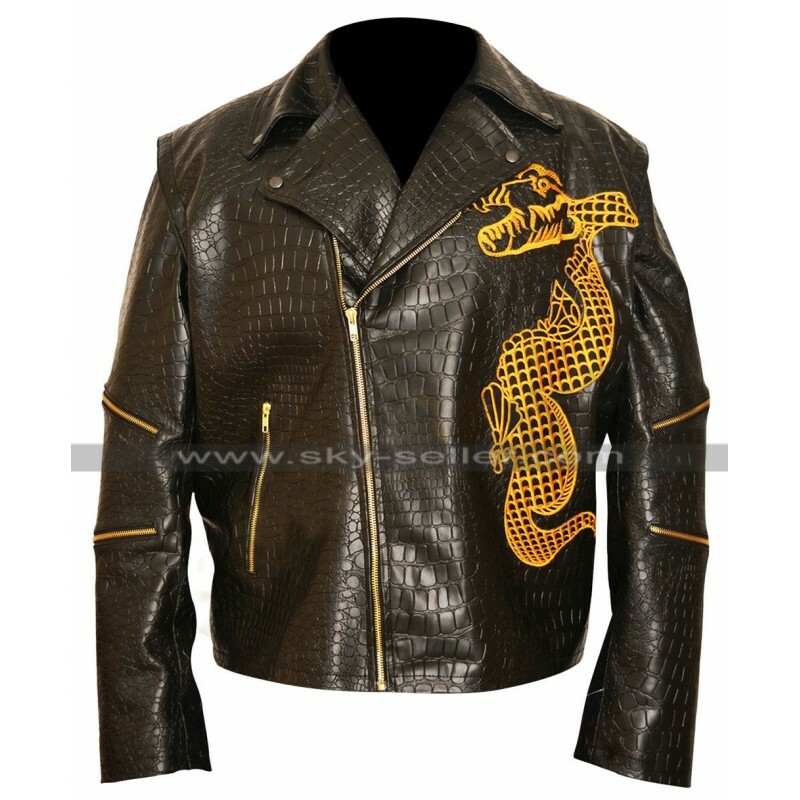 It is stunning Killer Croc black leather jacket with golden touch to make it glamorous. 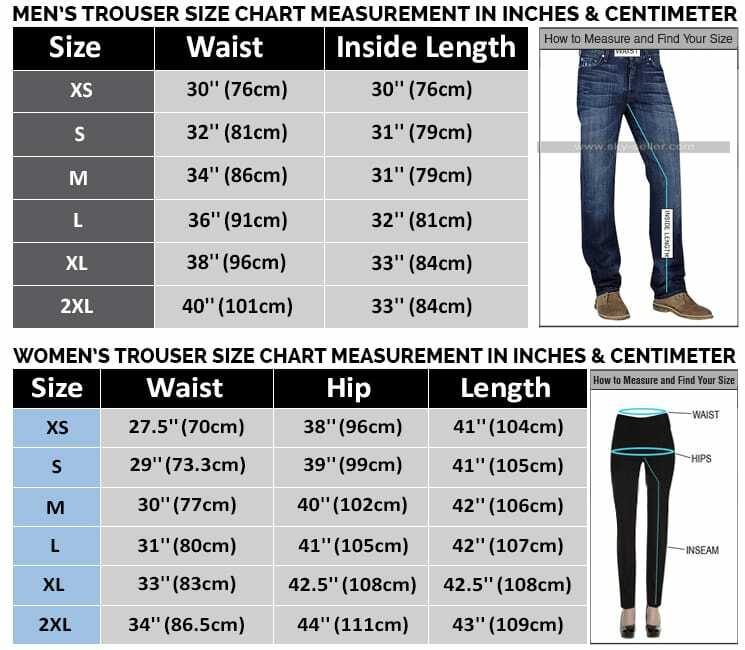 Golden zip is located at front for closure. 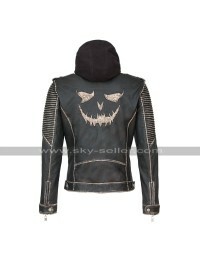 Suicide Squad jacket has the wide shirt like collars with buttons. 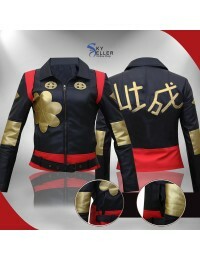 Zippers are also present on sleeves. 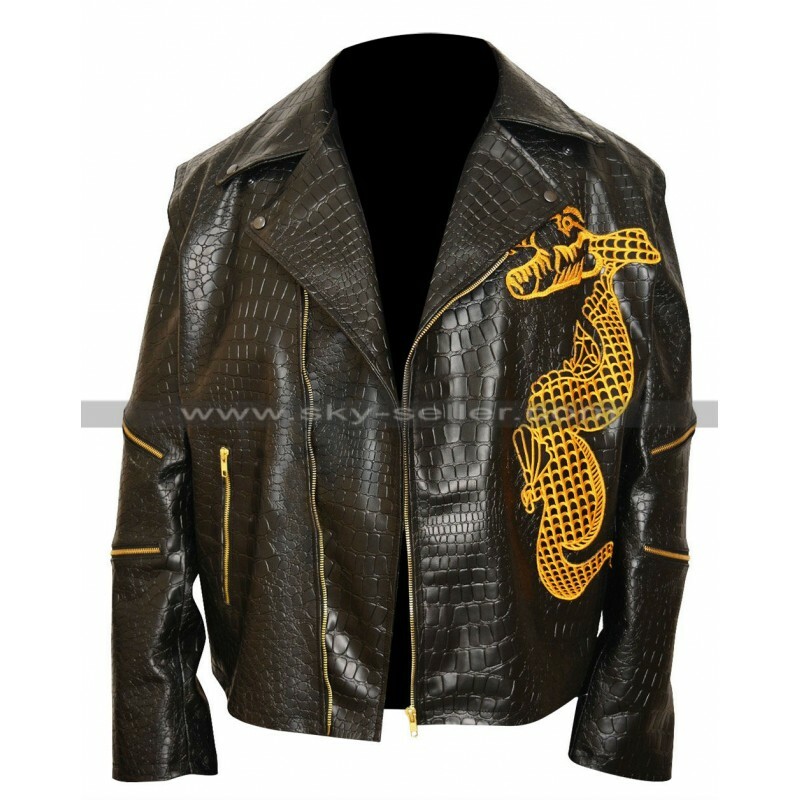 Golden color tattoo of dragon is embossed on the left front of the jacket.